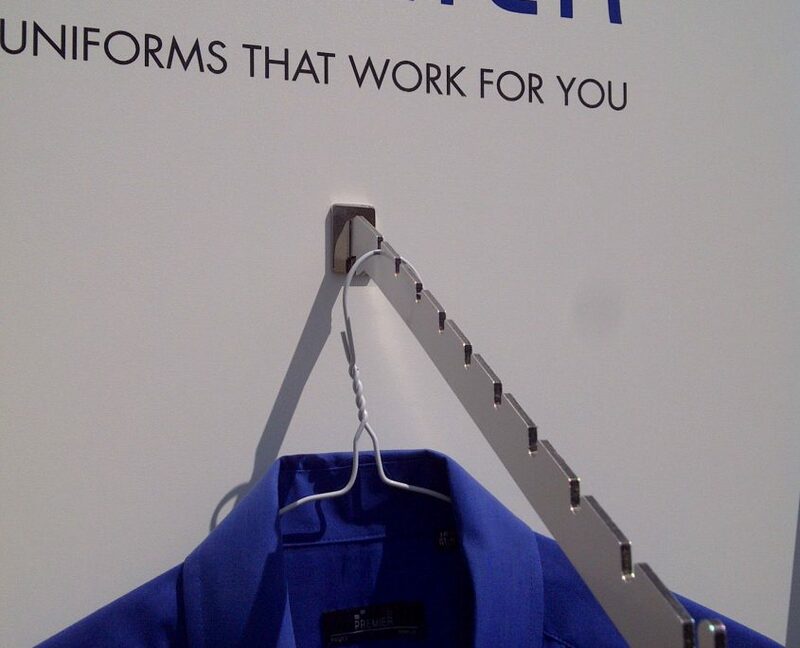 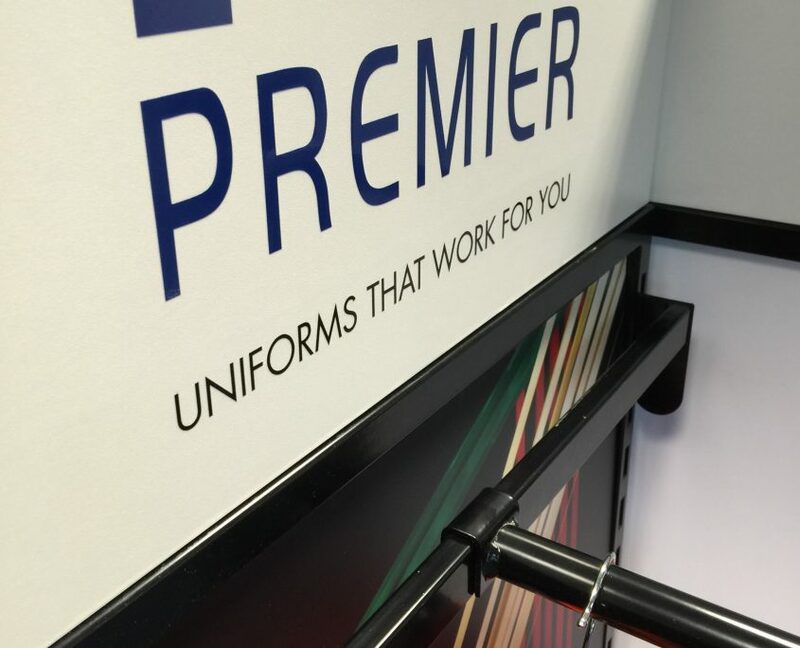 We have designed a number of retail display solutions for Premier Clothing over the years, in a range of materials. 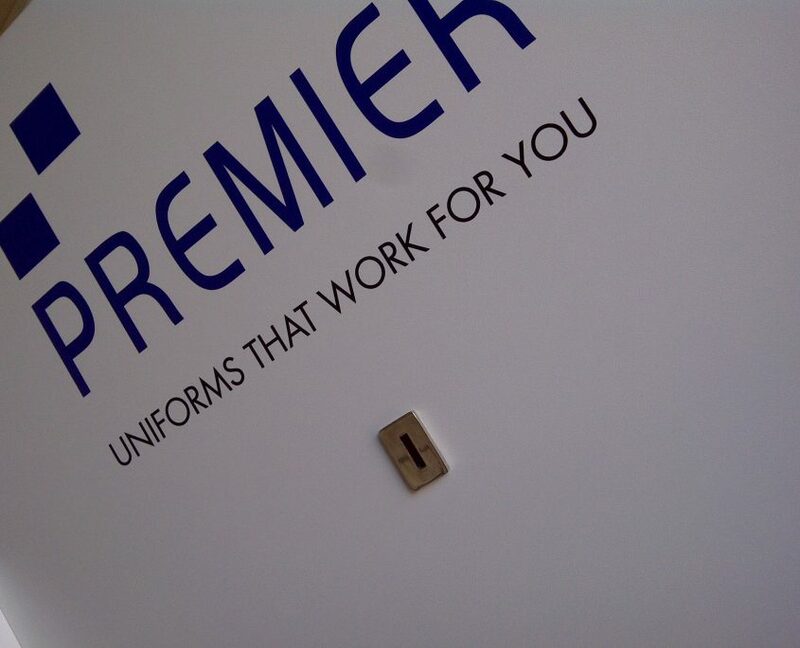 Premier Clothing are a manufacturer of high quality staff uniforms for people working in the hospitality, corporate, beauty and healthcare industries. 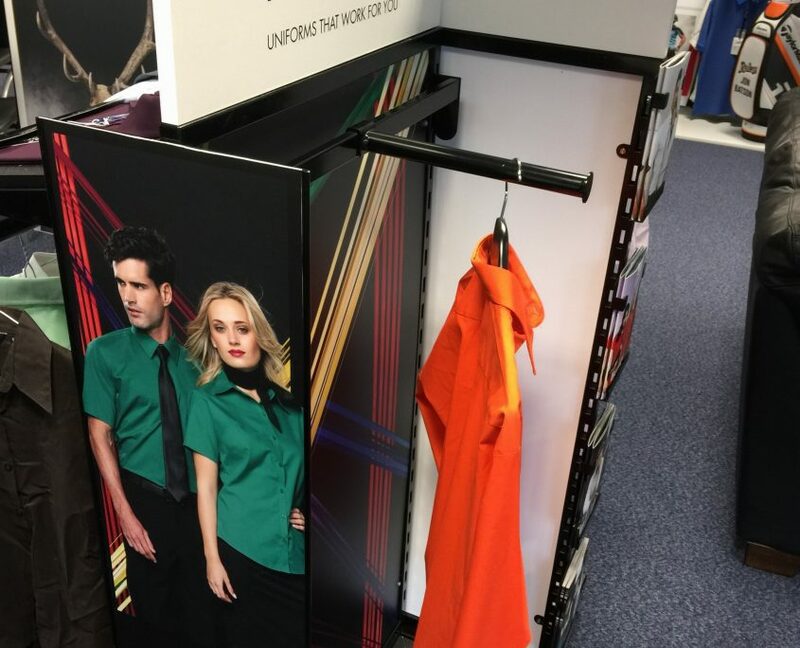 They offer an extensive range of colour with key pieces available in up to 58 shades. 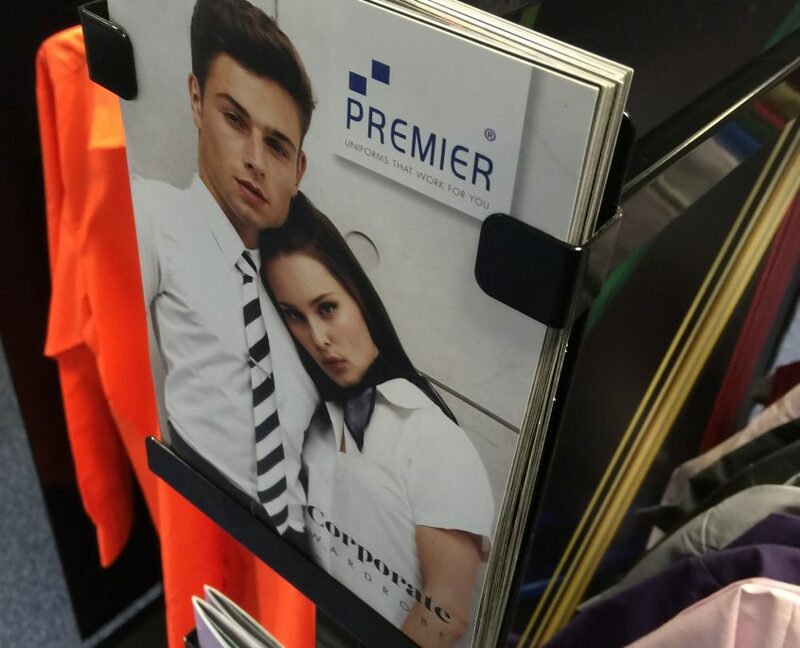 All their clothes are perfect for print or embroidery personalisation and can be bought from suppliers across Europe. 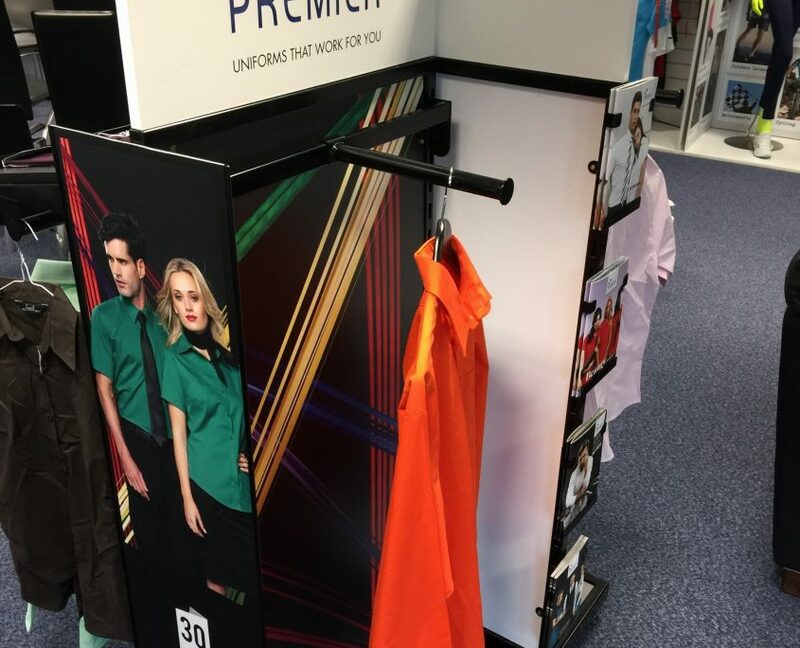 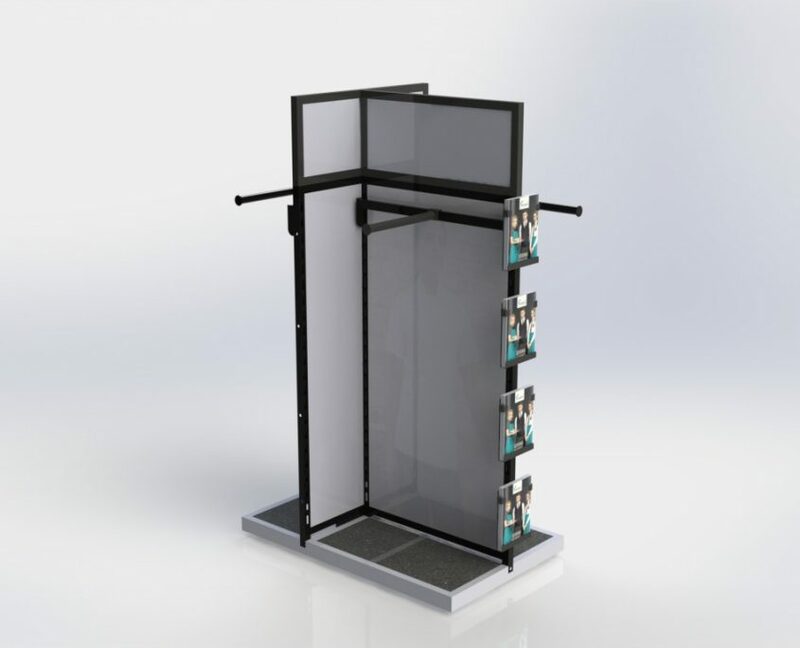 Premier Clothing asked us to design and develop a range of differing merchandising units to stock and display a variety of apparel from aprons to shirts. 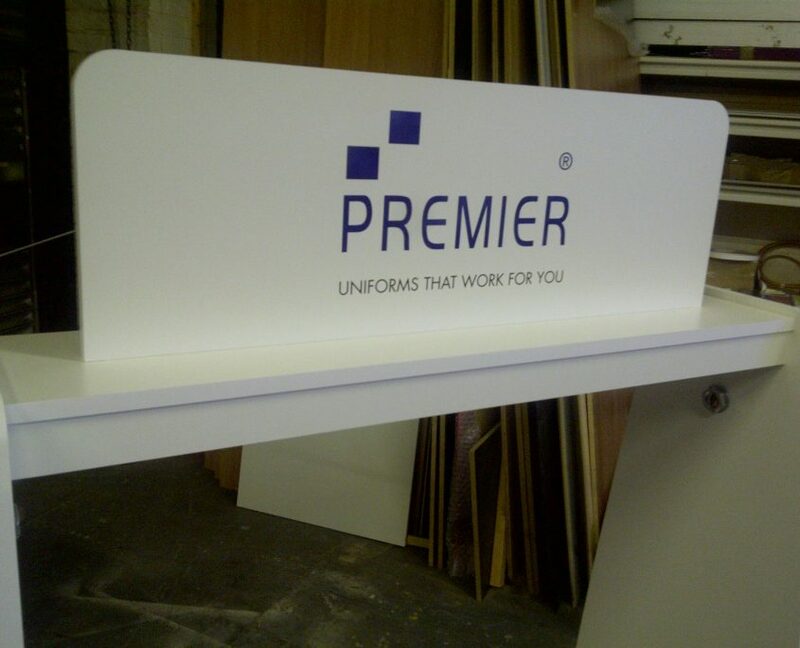 Over the years, we have designed various solutions for this client, using a range of materials from timber to metalwork and graphics. 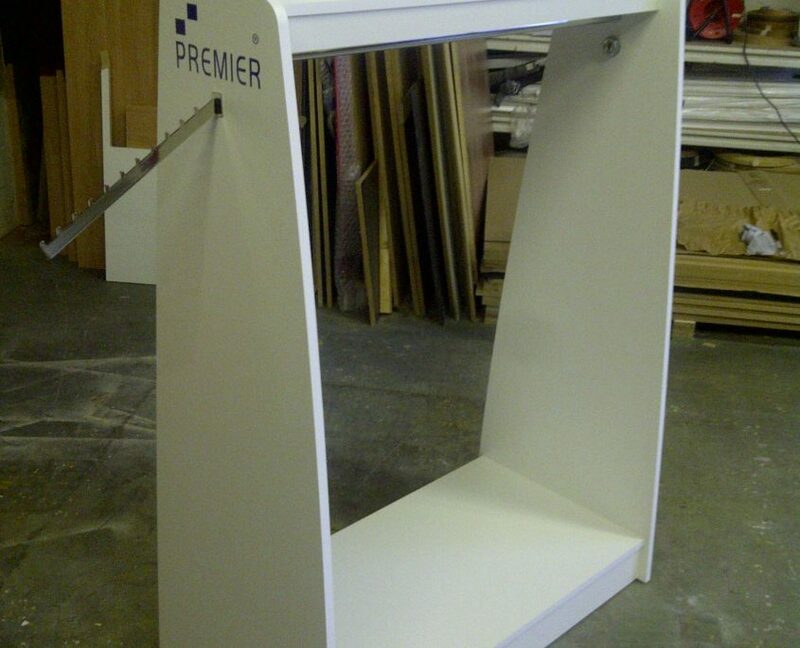 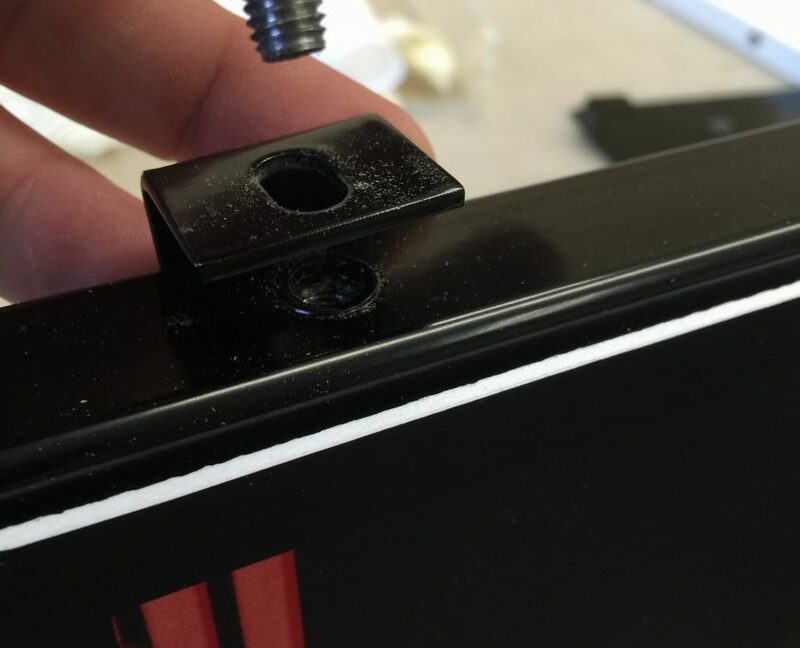 The units are all flat packed to keep delivery costs to a minimum, and are dispatched all over the UK and Europe.